PML are proud to support a group of charities that have been selected by our workforce. Some staff have very personal stories and experiences and whilst we were selecting the charities it was great to hear the positive impact these charities have had on our staff, their families and friends. By supporting these charities we are able to help them in extending their reach and impact. Team H4H is an extremely passionate bunch. Their passion comes from their links to the Armed Forces; some have served, others are related to or know someone who has. Taking the time to listen, understand what's needed, and do their very best for our Heroes every single day. Fighting for every heartbeat - Coronary heart disease is the UK's single biggest killer, but they're leading the fight against it. At Macmillan, they know how a cancer diagnosis can affect everything and are there to support you. From help with money worries and advice about work, to someone who'll listen if you just want to talk. At Alzheimer's Society, they believe passionately that life doesn't end when dementia begins. They're there for anyone affected by dementia, and do everything they can to keep people with dementia connected to their lives and the people who matter most. Changing lives in Africa through safe water and sanitation. Safe water, sanitation and hygiene change lives. They fight preventable diseases helping communities to be healthier, help families break away from poverty and help children go to school. 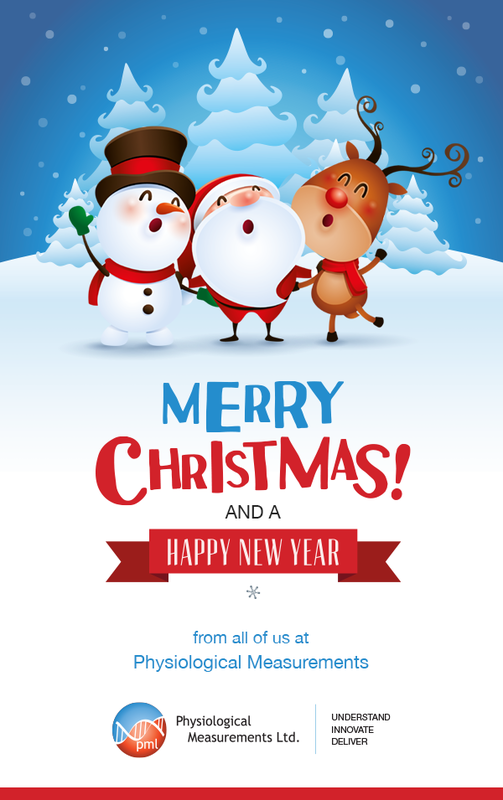 Here at PML we have decided to donate, the money that would have been sent sending Christsmas cards, to our company Charities. Physiological Measurements raise a cuppa for the NHS! As Physiological Measurements (PML) work in Partnership with the NHS, it was very close to our hearts when the NHS turned 70 last week. Lots of preparation went in to the ‘7Tea’ party including various members of staff baking delicious things to raise money for charity. 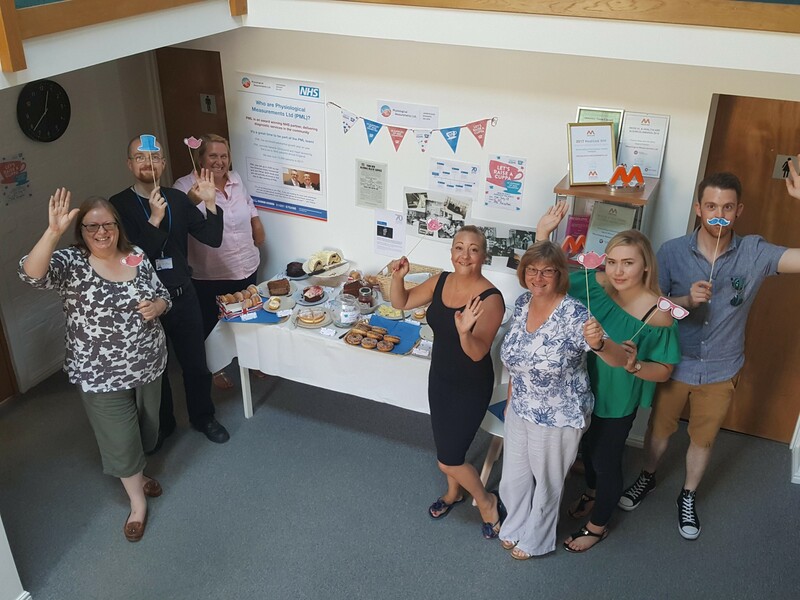 As well as an important fundraising event, the commemorative tea party also gave members of staff a chance to think about what the NHS does for us all and share stories of how it has touched each of our lives. Research about the history of the NHS featured on a wall display, prepared by staff, and highlighted just how far the NHS has come. This included the old styles of ambulances and equipment used when the NHS was first formed. 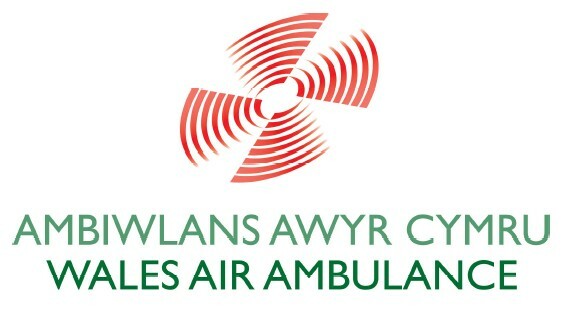 The money raised from voluntary contributions will be donated to ‘Wales Air Ambulance Charity’ who work closely with the NHS and work tirelessly to provide emergency medical attention to those with life-threatening injuries or illnesses. We are grateful to everyone who took part and visited the office to donate and sample the tasty delights on offer, including staff from local businesses. A Staff raffle for some Vino! 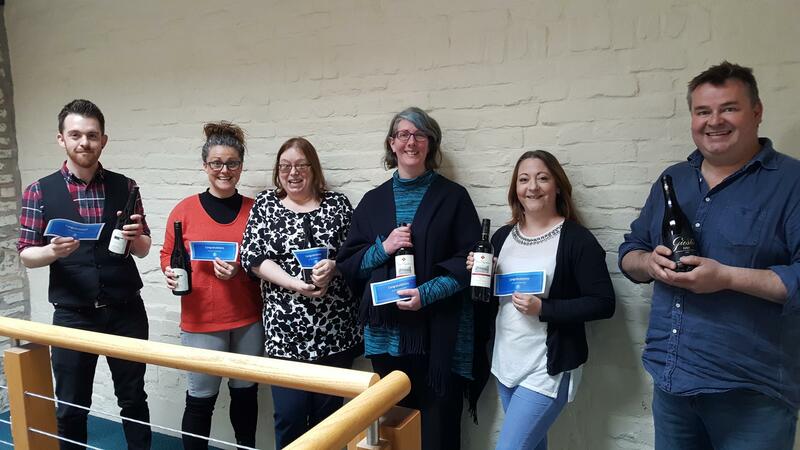 Our staff members from head office in Oswestry recently took part in a raffle for some luxury wine. We are delighted to report that we raised £52 which has then been matched by PML. A donation of the total proceeds of £104 has been sent to The Alzheimer's Society. Well done to the PML team! Ella Pither recently organised some fantastic circuit training classes at our Oswestry head office, in aid of Cancer Research UK. Well done Ella! Thank you to everyone who contributed towards our Macmillan Coffee Morning. We had some very yummy cakes, and it was fantastic to share the coffee morning with some of our patients too! 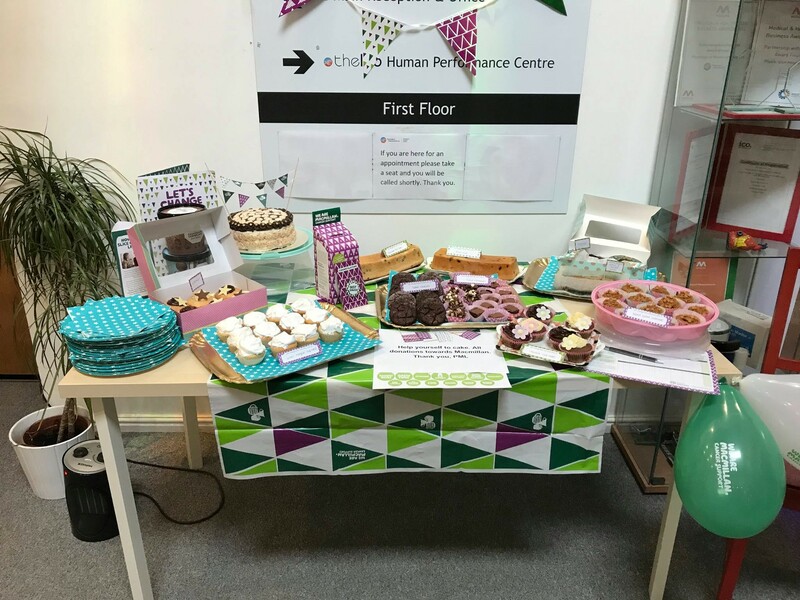 We are proud to say we raised £84 at the coffee morning which has been matched by Physiological Measurements giving us a grand total of £168 for Macmillan Cancer Support. 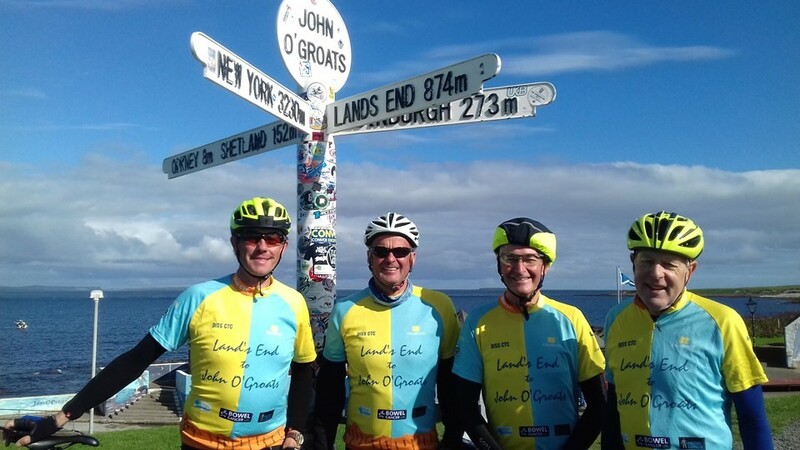 Richard and his team finished the epic distance at 1pm on Tuesday 19th September 2017! Jon Pither (PML’s Executive Director) is Richard’s son and couldn’t be prouder of what they have achieved. Village Water is transforming lives in Zambia & Mozambique. Since 2004 they've supported over 900 communities and 180,000 people with safe water, sanitation and hygiene. Their work improves health by reducing waterborne diseases, meaning children can go to school more and adults have more time to farm. 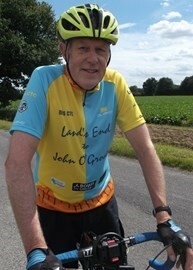 Well done Richard for completing the challenge and raising over £5,000 for his chosen Charity!